Product prices and availability are accurate as of 2019-04-21 18:43:17 BST and are subject to change. Any price and availability information displayed on http://www.amazon.com/ at the time of purchase will apply to the purchase of this product. 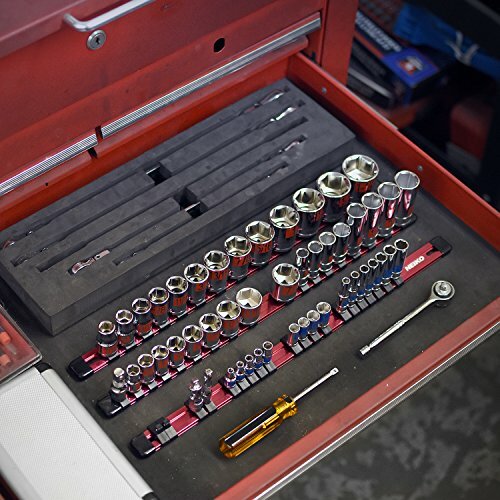 Multiple, individual sockets will no longer be misplaced or lost with the socket holder organizer set. 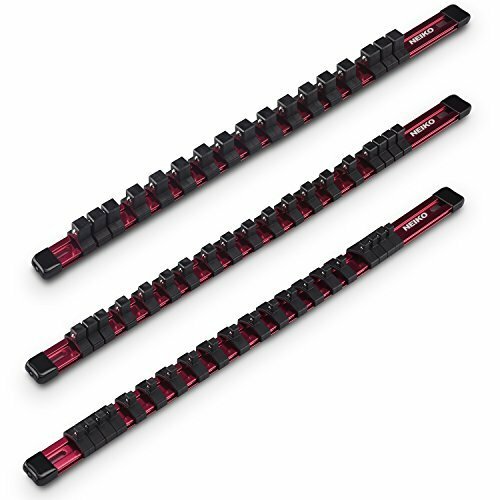 This set offers an efficient solution to storing your sockets outside of the case when you are on the job or on the go and need a range of socket sizes. Sturdy aluminum construction provides a more sturdy hold than plastic alternatives yet maintains its great lightweight feature. Each socket clip comes with a spring loaded ball detent so you can work confidently knowing your sockets are secure and safe. 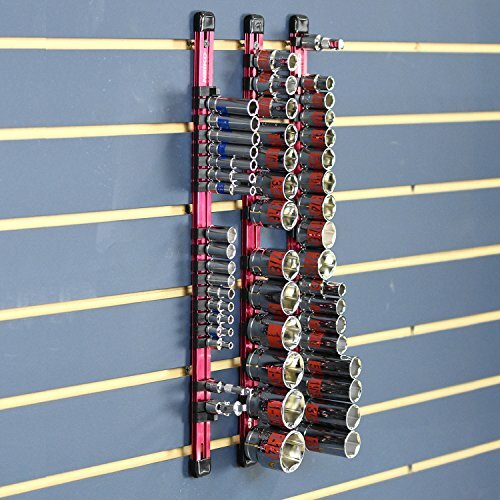 The sleek and thin rail design allows for easy placement in your tool shelf or box with two open hole slots for hanging onto your tool board for maximum visibility and access. 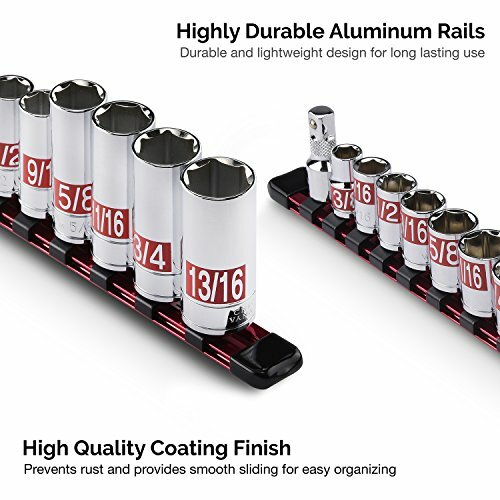 Customize each rail with ease with the interchangeable socket clips so you can mix and match socket sizes making it super versatile for jobs requiring multiple sized sockets. 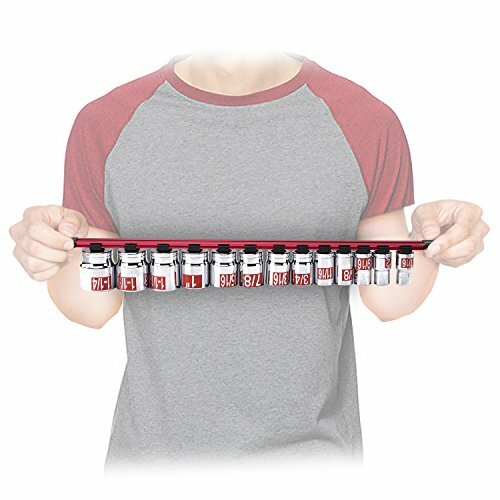 The organizer set can store up to fifty four sockets: 20 x quarter inch drive, 18 x three eighths inch drive, and 16 x half inch drive socket clips.